On the 24th (Sun), get interesting insight from Tours. Keep things going the next day: step off the mainland to explore Dr. Von D. Mizell-Eula Johnson State Park and then see some colorful creatures with a scuba or snorkeling tour. For ratings, other places to visit, traveler tips, and more tourist information, read Fort Lauderdale driving holiday planner. If you are flying in from Denmark, the closest major airports are Fort Lauderdale Hollywood International Airport, Miami International Airport and Palm Beach International Airport. In February in Fort Lauderdale, expect temperatures between 30°C during the day and 21°C at night. Cap off your sightseeing on the 27th (Wed) early enough to travel to Great Smoky Mountains National Park. Start off your visit on the 27th (Wed): get to know the fascinating history of Noah Bud Ogle Cabin, then look for all kinds of wild species at Sugarlands Valley Nature Trail, and then take your sightseeing to a higher altitude at Mount LeConte. To see traveler tips, photos, where to stay, and tourist information, go to the Great Smoky Mountains National Park online day trip planner . 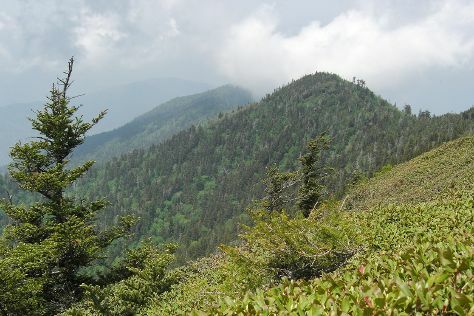 Traveling by flight from Fort Lauderdale to Great Smoky Mountains National Park takes 5 hours. Alternatively, you can take a bus; or do a combination of train and bus. Expect much colder temperatures when traveling from Fort Lauderdale in February; daily highs in Great Smoky Mountains National Park reach 13°C and lows reach 1°C. Finish your sightseeing early on the 28th (Thu) to allow enough time to travel to Nashville. Start off your visit on the 28th (Thu): identify plant and animal life at Radnor Lake State Park, then see the interesting displays at Lane Motor Museum, and then appreciate the extensive heritage of Bicentennial Capitol Mall State Park. Get ready for a full day of sightseeing on the next day: pause for some serene contemplation at St Mary's of the Seven Sorrow Catholic Church, then examine the collection at Musicians Hall of Fame and Museum, then take in the history at Stones River National Battlefield, and finally learn about winemaking at Arrington Vineyards. For other places to visit, more things to do, traveler tips, and more tourist information, refer to the Nashville online journey planner . Getting from Great Smoky Mountains National Park to Nashville by flight takes about 5.5 hours. Other options: take a bus. The time zone changes from Eastern Standard Time to Central Standard Time, which is usually a -1 hour difference. In February in Nashville, expect temperatures between 13°C during the day and 1°C at night. Wrap up your sightseeing on the 2nd (Sat) to allow time to drive to Memphis. Start off your visit on the 2nd (Sat): steep yourself in history at Slave Haven / Burkle Estate Museum, stroll the grounds of Elmwood Cemetery, gain insight at Stax Museum of American Soul Music, then stop by Memphis Music, and finally take in the spiritual surroundings of St. Peter Catholic Church. Get ready for a full day of sightseeing on the 3rd (Sun): get engrossed in the history at Hampson Museum State Park, then contemplate the long history of Johnny Cash House, and then try to win big at Southland Park Gaming and Racing. To see photos, traveler tips, reviews, and other tourist information, refer to the Memphis day trip planner . You can drive from Nashville to Memphis in 3.5 hours. Alternatively, you can take a bus; or fly. In March, daily temperatures in Memphis can reach 20°C, while at night they dip to 7°C. Finish up your sightseeing early on the 4th (Mon) so you can go by car to New Orleans. Kick off your visit on the 4th (Mon): pause for some serene contemplation at Immaculate Conception Church, admire the striking features of Destrehan Plantation, and then stroll the grounds of Lake Lawn Metairie. For where to stay, other places to visit, traveler tips, and other tourist information, read New Orleans road trip site . Getting from Memphis to New Orleans by car takes about 7 hours. Other options: fly; or take a train. Traveling from Memphis in March, New Orleans is a bit warmer at night with lows of 19°C. 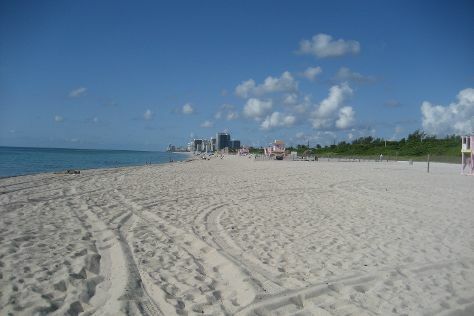 Wrap up your sightseeing on the 4th (Mon) early enough to travel to Miami. On the 5th (Tue), appreciate the extensive heritage of Art Deco Tours, then explore the galleries of The Wolfsonian - Florida International University, then take in the exciting artwork at Britto Central, and finally enjoy the sand and surf at Haulover Beach Park. To see photos, ratings, traveler tips, and more tourist information, use the Miami vacation planning site . You can fly from New Orleans to Miami in 4.5 hours. Other options are to do a combination of flight and bus; or drive. You'll lose 1 hour traveling from New Orleans to Miami due to the time zone difference. When traveling from New Orleans in March, plan for somewhat warmer days and about the same nights in Miami: temperatures range from 32°C by day to 21°C at night. Finish your sightseeing early on the 5th (Tue) to allow enough time to travel to Key West. 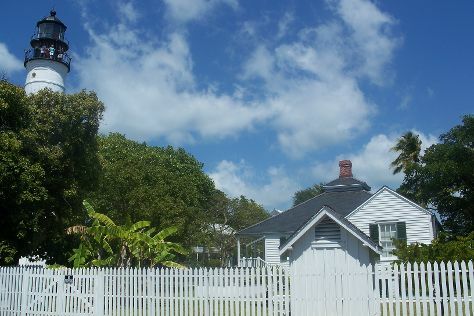 Kick off your visit on the 6th (Wed): stroll the grounds of Key West Cemetery, then enjoy the sea views from Key West Lighthouse and Keeper's Quarters Museum, then go for a walk through Key West Garden Club, and finally paddle through the water with a kayaking and canoeing tour. To see where to stay, ratings, and tourist information, read our Key West online journey planner . You can fly from Miami to Key West in 2.5 hours. Other options are to do a combination of bus and flight; or drive. In March, plan for daily highs up to 30°C, and evening lows to 24°C. Cap off your sightseeing on the 6th (Wed) early enough to travel to Crystal River. Kick off your visit on the 7th (Thu): steep yourself in history at Crystal River Archaeological State Park, then learn about winemaking at Dakotah Winery, and then admire the majestic nature at Manatee Springs State Park. Here are some ideas for day two: look for all kinds of wild species at Crystal River National Wildlife Refuge, take an in-depth tour of Cedar Key Historical Society Museum, and then get engrossed in the history at Cedar Key Museum State Park. To find more things to do, maps, ratings, and other tourist information, refer to the Crystal River online vacation planner . Traveling by combination of flight and bus from Key West to Crystal River takes 6.5 hours. Alternatively, you can do a combination of flight, bus, and taxi; or drive. Traveling from Key West in March, expect nights in Crystal River to be colder, around 11°C, while days are a bit cooler, around 26°C. Wrap up your sightseeing by early afternoon on the 9th (Sat) to allow enough time to drive back home. Start off your visit on the 10th (Sun): get some thrills out on the water with a waterskiing or jet-skiing adventure, sample the tasty concoctions at Islamorada Beer Company Brewery and Tasting Room, and then sample the tasty concoctions at Florida Keys Brewing Company. On your second day here, take in the architecture and atmosphere at Key Largo Baptist Church, have unforgettable encounters with a shark diving experience, and then explore the gorgeous colors at Grecian Rocks. To find where to stay, maps, and other tourist information, read Key Largo tour itinerary planner . Getting from Crystal River to Key Largo by car takes about 6.5 hours. In March, Key Largo is somewhat warmer than Crystal River - with highs of 30°C and lows of 20°C. Wrap up your sightseeing by early afternoon on the 12th (Tue) to allow enough time to drive back home.